It’s nice to have a steady paycheck. Actors have a notoriously hard time hitting the big time, and even for those who do, there’s no guarantee that they’ll continue to land great roles. That’s probably why it’s so tempting to reprise roles that have worked well for them in franchises that have built-in audiences. So it’s cool to see that some actors can have successful careers without ever starring in a sequel to one of their popular films. Some of the actors on this list did appear in a sequel/reboot in a series, but they never showed up in more than one film in that series, so they weren’t returning to a series they had helped start. So sit back and prepare to be surprised as we showcase 10 successful actors who have never starred in a sequel to one of their popular films. 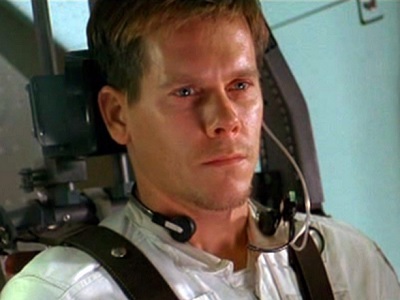 At first it seems pretty surprising that Mr. (Six Degrees of) Kevin Bacon himself has never been in a sequel to one of his numerous popular films. He got killed off in the first Friday the 13th, was smart enough to avoid the inferior sequels to Tremors, and didn’t set foot in the 2011 remake of Footloose. But it makes perfect sense that he can be connected to practically anyone in Hollywood because he’s worked with so many popular directors, producers, and actors during his career. He’s never been pigeon-holed into one genre or film series. 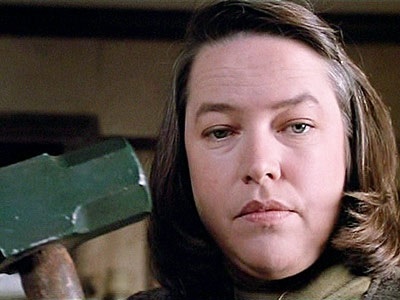 Kathy Bates did show up in the poorly thought-out sequel Arthur 2: On the Rocks early in her film career, but she wasn’t in the first one, so she still qualifies for this list. Take a look at this lady’s filmography and you’ll find that she’s been in a ridiculous number of films, ranging in quality from ingenious Stephen King adaptations (Misery) to screwball Adam Sandler comedies (Waterboy). But through it all she always classes up whatever she’s in. 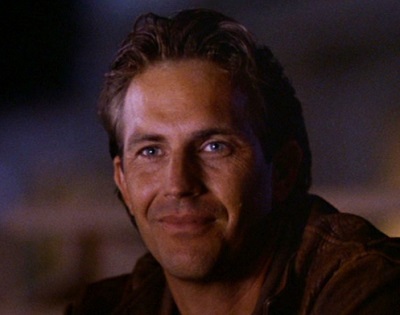 Kevin Costner has had a rollercoaster career, reaching the highest of highs and the lowest of lows. But for all his faults, he still finds his way into a lot of movies today. He made a string of classic films in the late ‘80s and early ‘90s, such as The Untouchables, Bull Durham, Field of Dreams, Dances with Wolves, Robin Hood: Prince of Thieves, and JFK. Then things went south for the next two decades with only a couple of bright spots here and there, like Open Range in 2003. He has appeared in a couple of reboots recently, but he’s unlikely to show up in any sequels to Man of Steel, and Jack Ryan: Shadow Recruit probably won’t get a sequel anyway. Admittedly, a lot of the characters Leonardo DiCaprio plays wind up dead or insane, so it’s not too shocking to find him on this list. His first film was Critters 3, but he’s avoided the horror genre since then. He is one of the most successful actors of the past decade, starring in numerous Martin Scorsese dramas, plus many other unique and challenging films. 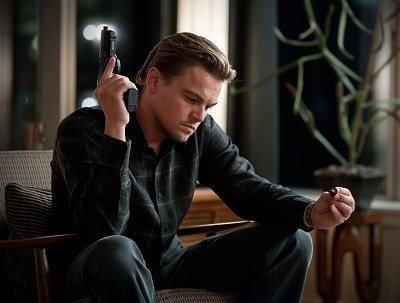 James Cameron isn’t likely to make a sequel to Titanic, nor is Christopher Nolan going to spoil the mystery he created at the end of Inception, so DiCaprio’s sequel-free track record doesn’t look like it’s going to be broken anytime soon. 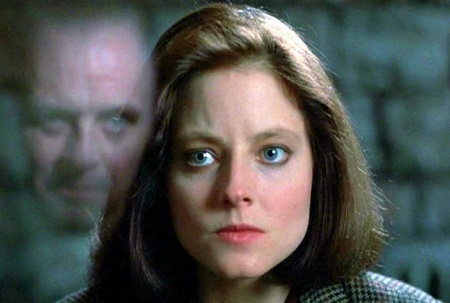 Yes, Jodie Foster starred in Silence of the Lambs, which is sort of a reboot of Manhunter. But with an almost completely different cast and creative crew, it can hardly be called a sequel. Foster never showed her face in the 2003 remake of Freaky Friday or any of the Hannibal Lecter sequels or prequels. 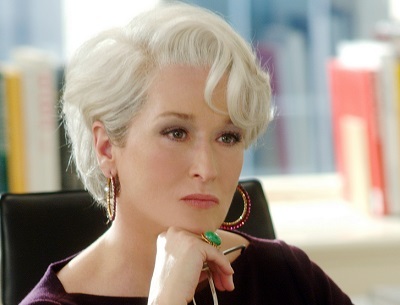 She’s had a brilliant career with roles in Maverick, Contact, Panic Room, and more. She’s just never felt a need to return. 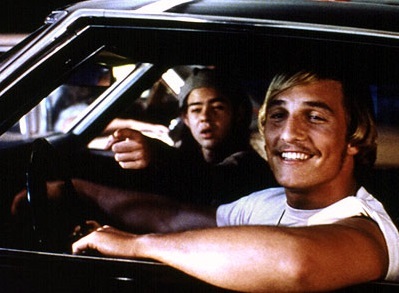 The man of the hour, Matthew McConaughey, has never been in a sequel to his numerous hits. His career has been a little like Tom Hanks’. He started out strong with films like Dazed and Confused, Lone Star, Contact, and Amistad. But then he sort of fell into mediocrity with EdTV, U-571, and Sahara before reinventing himself and returning stronger than ever in the past few years. He did appear in 1994’s Texas Chainsaw Massacre: The Next Generation, which I can only assume is an obscure offshoot of the Star Trek series. But that’s it as far as sequels or remakes he’s done. Dennis Quaid is one of the most prolific actors of all time. For nearly four decades, hardly a year has gone by without him starring in at least one film (if not several). He skipped the sequels G.I. Joe: Retaliation and Dragonheart: A New Beginning. His films aren’t always the most popular when they first come out, but time has been kind to gems like The Right Stuff, Enemy Mine, and Innerspace. He has been in a number of reboots: 1988’s D.O.A., 1998’s The Parent Trap, 2004’s Flight of the Phoenix, 2005’s Yours Mine & Ours, and 2011’s Footloose, but he wasn’t involved in the original films. Oh yeah, he also co-starred in the abysmal Jaws 3-D, but he learned his lesson and avoided Jaws: The Revenge like the plague. Winona Ryder is an incredibly versatile actress. She was Tim Burton’s darling early in her career. But Beetlejuice and Edward Scissorhands never got sequels. Neither did Heathers, Lucas, or any of her other brilliant early films. She did co-star in the so-so remake Mr. Deeds and the weak Alien: Resurrection. She did a solid job in her limited number of scenes in the superb Star Trek reboot. But she’s steered clear of those series since then and continues to do unique films today. After her star-making turns in The Deer Hunter and Kramer vs. Kramer, Meryl Streep was very selective about the roles she took. As a result, she has had far more success and won more awards than most actors could dream of. Other than the 2004 Manchurian Candidate remake, she has never been in anything but original films, and she’s never had a hand in any sequel. 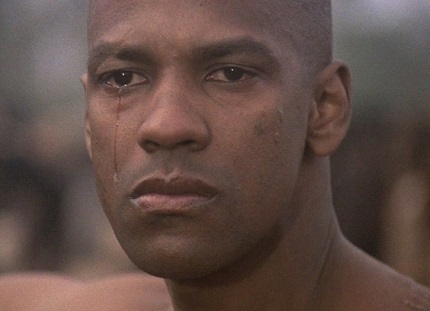 The Equalizer’s success this year might lead to a sequel, but for now Denzel Washington is safely in the category of actors who have never been in a sequel. He, too, starred in 2004’s The Manchurian Candidate, as well as 2009’s The Taking of Pelham 1 2 3, 1993’s Much Ado About Nothing. It’s also rumored that he’ll appear in a remake of The Magnificent Seven. These are just the living actors I found. There are plenty of dead actors I could have talked about, such as Fred Astaire, Humphrey Bogart, James Dean, Judy Garland, Cary Grant, Gene Kelly, and Steve McQueen. But I limited myself to living actors to keep this list contemporary and to show that it’s possible in today’s sequel-obsessed world for actors to make a living while still taking risks and trying new things. I don’t think these actors are necessarily better than their peers who have been in sequels. I happen to love The Godfather: Part II, Aliens, Star Trek II: The Wrath of Khan, and many other worthy sequels that add so much to their series. It’s just nice to get a different perspective on what it means to be successful. This entry was posted in Random Stuff and tagged actors, dennis quaid, denzel washington, films, jodie foster, kathy bates, kevin bacon, kevin costner, leonardo dicaprio, matthew mcconaughey, meryl streep, movies, sequels, winona ryder. Bookmark the permalink. He made “Shutter’s Island” that is not a typical terror movie but a “psicolological horror film”, a thriller. I think that “Red Dragon” is a reboot of “Manhunter”, not? True. I guess I was thinking more like a slasher movie with Leonardo DiCaprio. Shutter Island is definitely more high-brow thriller, but the two genres seem to blend together quite often. And you’re right, they did remake Manhunter years after The Silence of the Lambs. I was using the term “reboot” to mean that it had some of the same characters from Manhunter, but it was not really trying to be a sequel, so “reboot” was the closest term I could think of for what it is. When I wrote ANY kind of movie I meant good movies and bad movies. Blockbusters and terrible films. For example, Michael Caine that made “The Dark Knight Trilogy” and “Jaws IV”. But your idea is very good too, because there are many actors in this category.